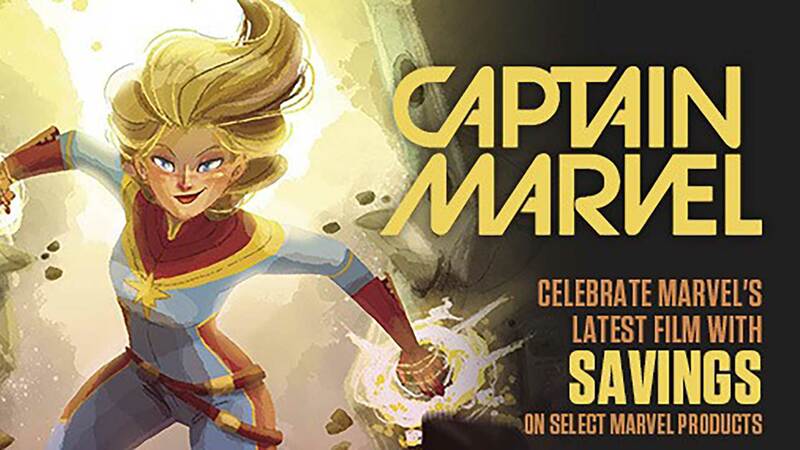 In a world filled with dragons, wizards, sea monsters, Norse gods and titanic battles strides the world's most hapless marauder! 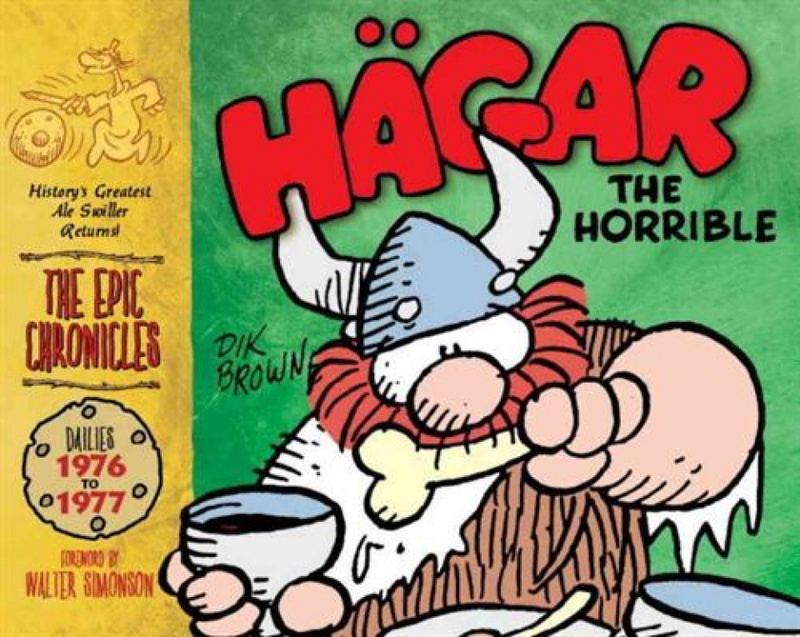 This is the saga of the best-known and most-loved Viking in the history of the world, the loveable Hagar the Horrible - and his unending quest to put mead, swag and meat on the family table! 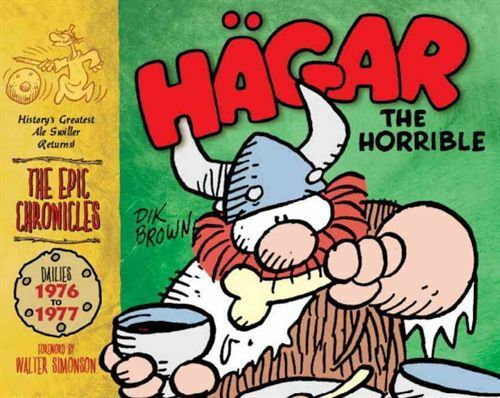 The Epic Chronicles of Hagar the Horrible: The Dailies 1976-77 collects together another two years worth of newspaper strips that helped to forge the legend. 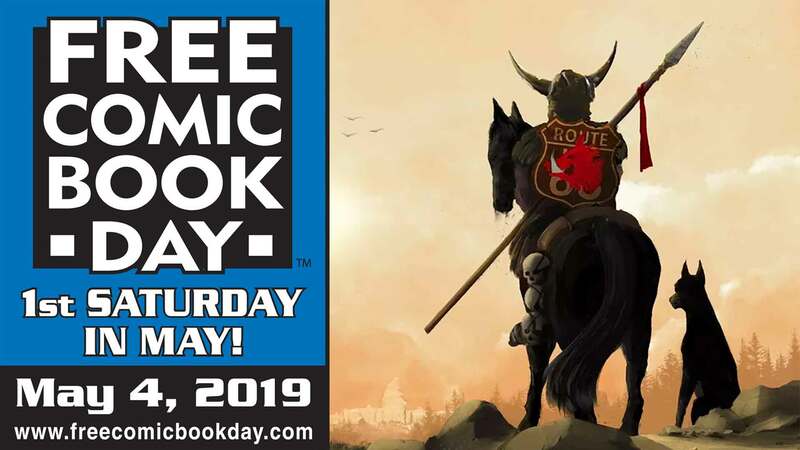 This collection contains a foreword by Walter (Thor) Simonson, and includes a rare rendition of Hagar which Walter drew for Browne himself!